We’re serving up a ridiculously addictive 6-Ingredient Buffalo Ranch Deviled Eggs Recipe today. Bold zesty flavor, with a spring fever mindset! 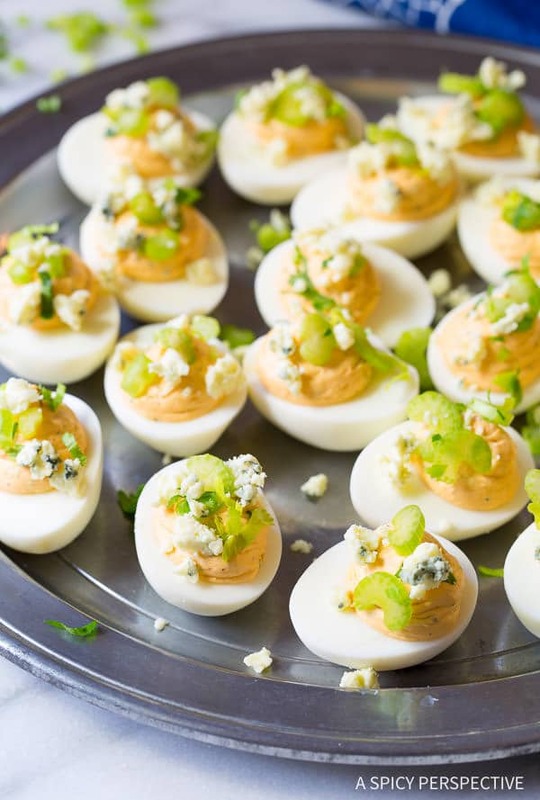 Welcome deviled egg lovers, one and all! 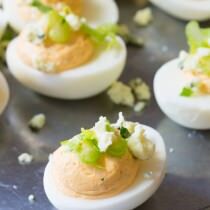 I’ve got a fantastic jazzed-up deviled egg recipe for you today. 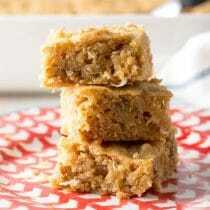 A fabulous transitional winter-to-spring recipe. This time every year, I start to get antsy for warm weather. We’ve had our snowballs fights, and made our snowmen. We’ve sipped endless mugs of hot cocoa, and sat by the crackling fire on chilly evenings. All wonderful things, mind you. Yet… Been there done that. I’m over winter in the worst way. So I start making recipes that remind me of spring, incorporating available winter ingredients with spring concepts… Like deviled eggs. I decided to make a deviled egg recipe to ease me through the next 6 weeks of cold weather. 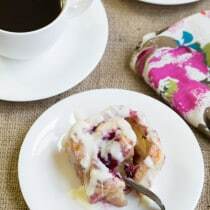 One that was a great fit for current game day parties, yet with just a glimpse of spring. 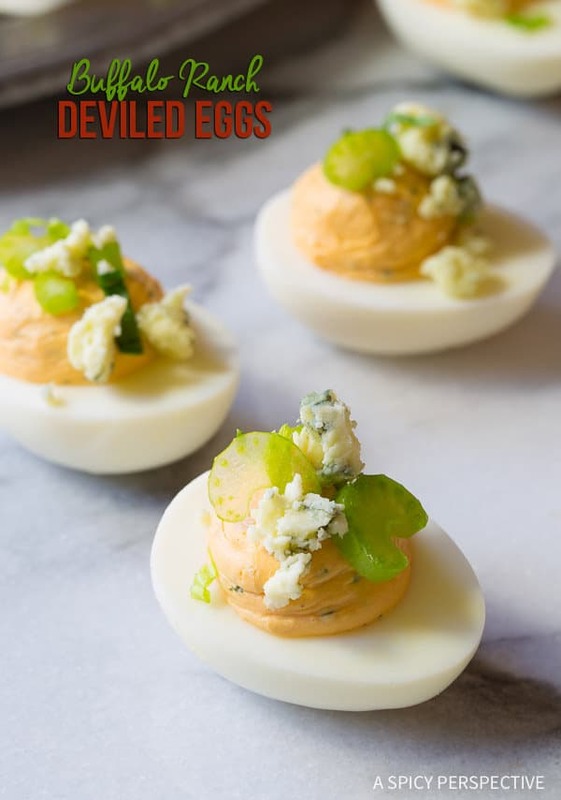 Introducing my Buffalo Ranch Deviled Eggs Recipe. I started by scooping the egg yolks into a food processor. Then I added cream cheese, cayenne pepper sauce, and a packet of Hidden Valley® Original Ranch® Dips Mix. The cream cheese offers rich stability to the filling, while the cayenne pepper sauce and Hidden Valley® Original Ranch® Dips Mix adds bold flavors of herbs and spice. It’s amazing how much zippy flavor one little packet can provide! Just puree for a few seconds until the egg mixture is smooth. Then pipe the filling into the empty egg whites, like so. 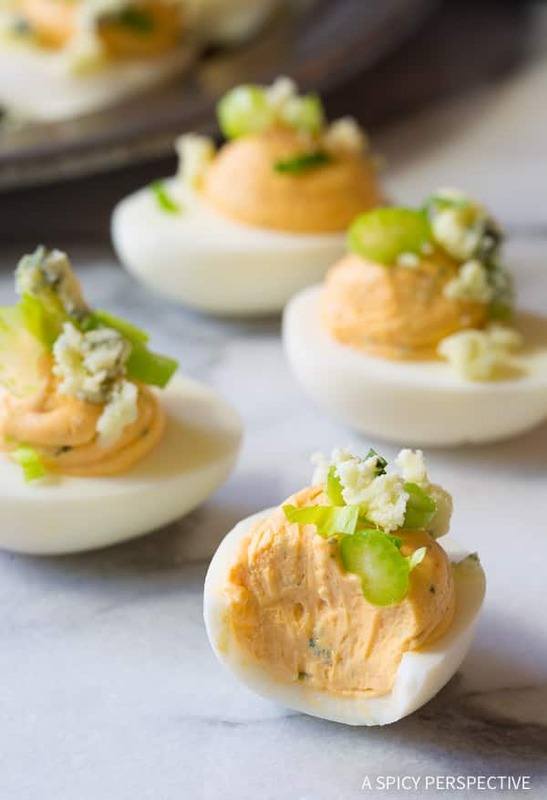 To complete the Buffalo Ranch Deviled Eggs Recipe, sprinkle the top of each egg with a bit of crumbled blue cheese and thin slices of celery. These dazzling deviled eggs are little bites of textural euphoria. 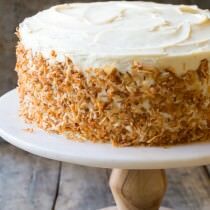 Soft and silky with a pop of crunch on top. 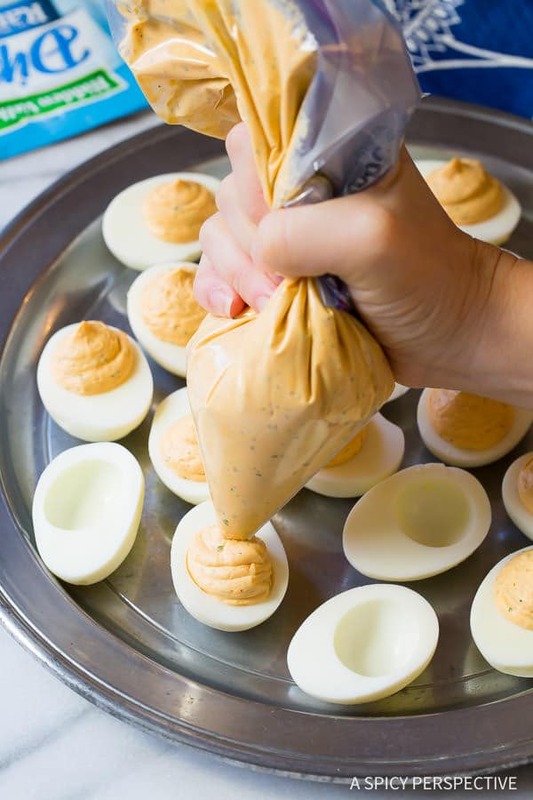 Combine that with the zesty ranch dip and buffalo sauce flavors, and you have a power-packed snack that is sure to please! 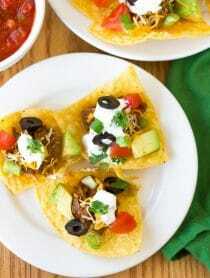 Looking for more zesty recipe ideas for your upcoming Super Bowl party? 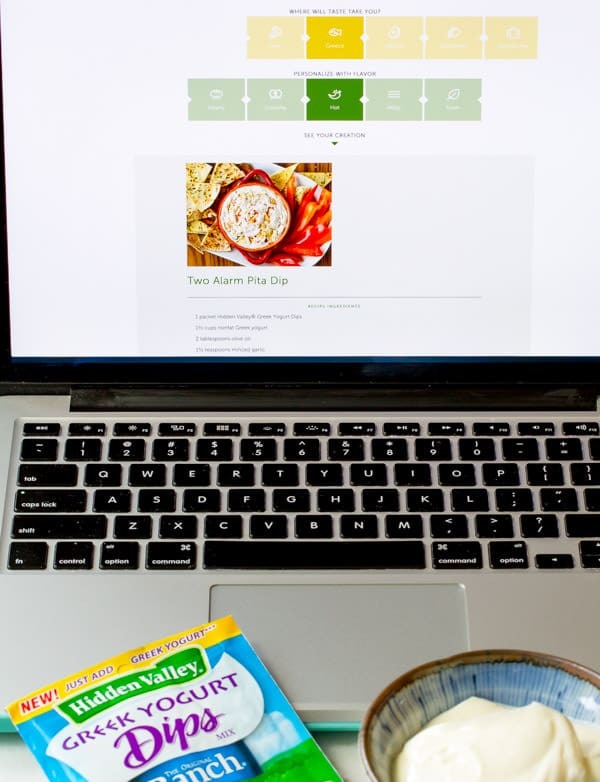 Hidden Valley® has a cool new tool called Dip Genius to help you find exactly what you’re looking for. To use Dip Genius, simply pick a regional category. You can choose from Italy, Greece, Mexico, the Southwest, or let Dip Genius surprise you. Then select the recipe attribute that best fits your mood: Hearty, Crunchy, Hot, Melty, or Fresh. 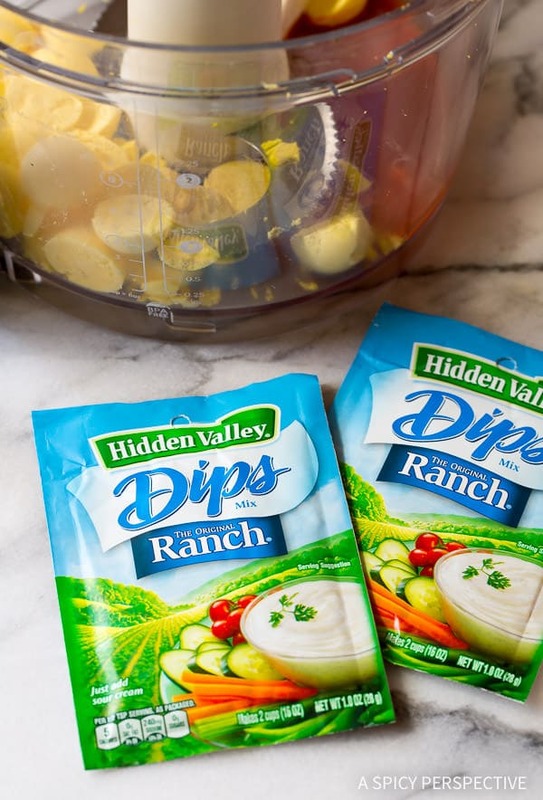 Dip Genius will then offer you the ranch dip that best suites you. 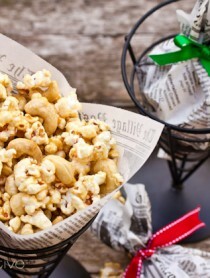 There are so many great options for your upcoming Super Bowl party. 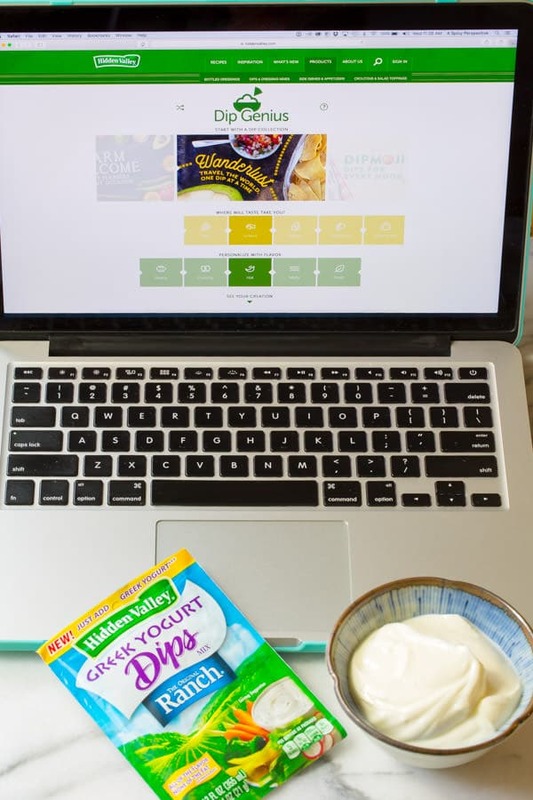 Make sure to check out Dip Genius this week to help you plan a fabulous spread! Also, find more inspired ranchy recipes on your favorite social media site by searching #RanchEverything. 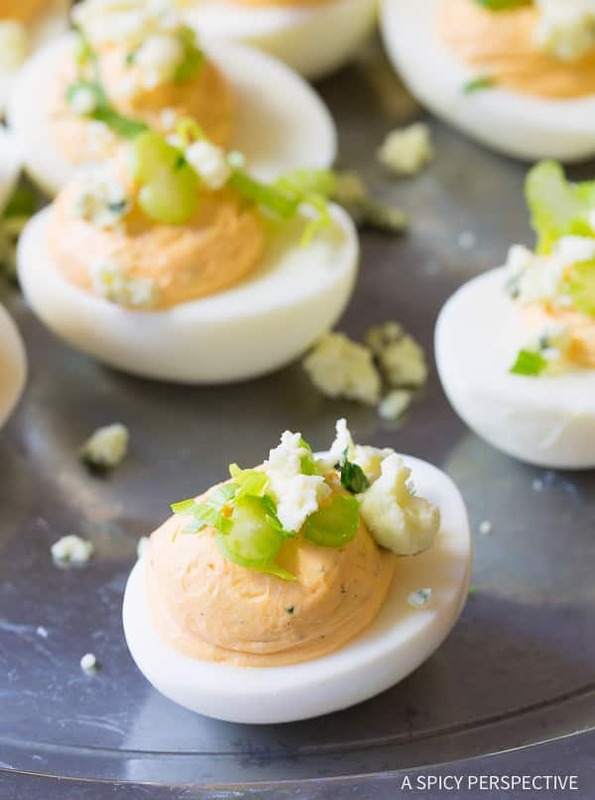 Easy Buffalo Ranch Deviled Eggs Recipe with only 6 ingredients and TONS of flavor. 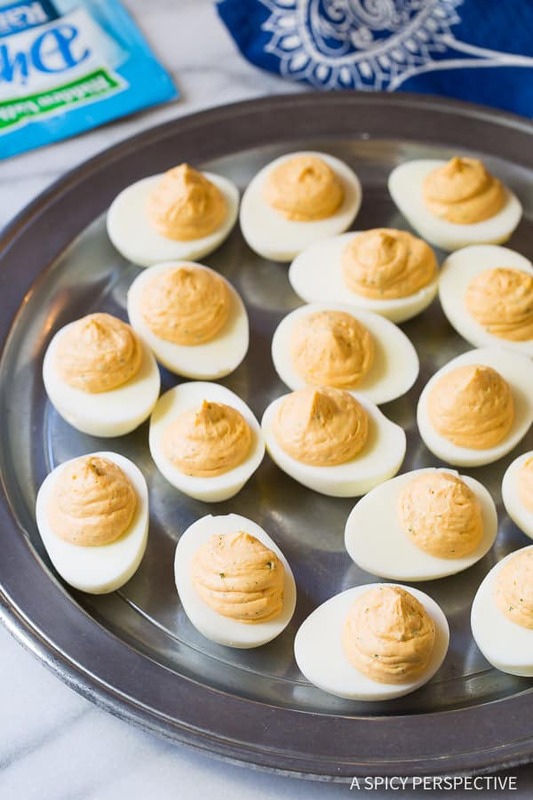 This simple deviled egg recipe takes just a few minutes to make. 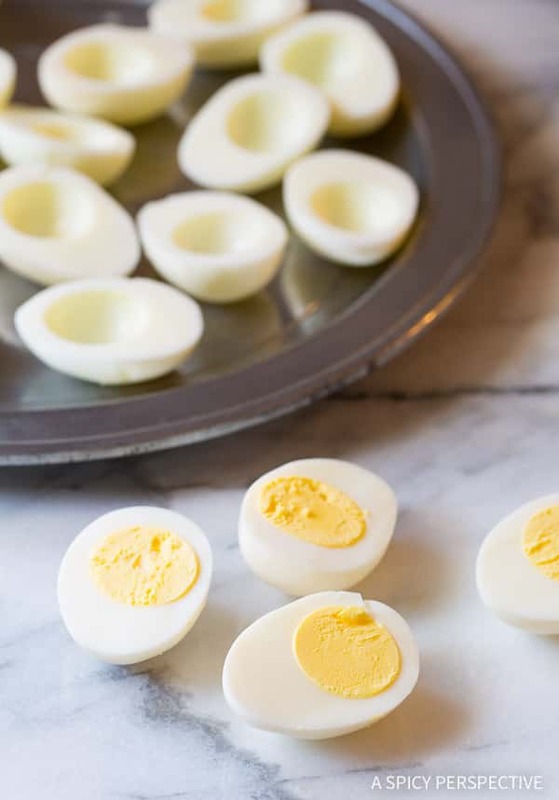 Peel the hardboiled eggs and cut them in half, lengthwise. 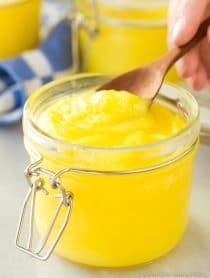 Remove the yolks and place them in a food processor. Lay the whites on a large platter, flat side up. Add the cream cheese, cayenne pepper sauce, and Hidden Valley® Original Ranch® Dips Mix to the food processor. Cover and puree until the mixture is very smooth. 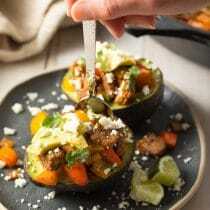 Then scoop the filling into a piping bag with a large tip (or a plastic bag with the corner snipped off) and pipe mounds of filling into the center of each egg white. 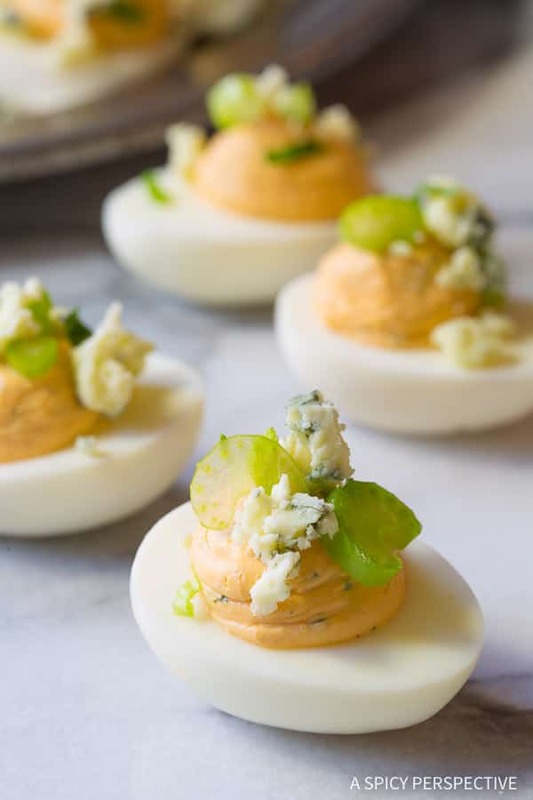 Garnish the top of each deviled egg with a little crumbled blue cheese and sliced celery. Cover and refrigerate until ready to serve. Can be made up to 3 days ahead.